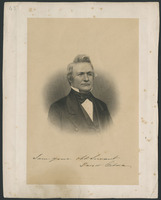 GIBSON, Sir JOHN MORISON, militia officer, lawyer, office holder, politician, and businessman; b. 1 Jan. 1842 in Toronto Township, Upper Canada, son of William Gibson and Mary Sinclair; m. first 26 Oct. 1869 Emily Annie Birrell (d. 1874) in London, Ont. ; m. secondly 26 Sept. 1876 Caroline Hope (d. 1877) in Hamilton, Ont., and they had a daughter who died at birth; m. there thirdly 18 May 1881 Elizabeth Malloch, and they had four sons and two daughters; d. there 3 June 1929. John Gibson’s father immigrated from Scotland in 1826 and found work as a stonemason in the Hamilton area. Following his marriage to the daughter of a farmer in Nelson Township, he purchased a farm in Toronto Township to the east. Not long before he died of consumption in 1845, he wrote to his nephew David Gibson* that this farm was not large enough to support his growing family and that adjacent property was too expensive to purchase. It was left to Mary Gibson to move her family in 1851 to a farm in Oneida Township. After a year of school there, John was sent to Hamilton, where his sister Jane had located after her marriage, to attend the Hamilton grammar school. In 1854 he transferred to the recently opened Central School, where he flourished academically. 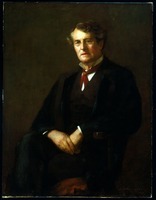 In later years he would attribute his success to hard work and perseverance, which he credited principal John Herbert Sangster with teaching him. In June 1859, as the school’s head boy, he was selected to test the jets of the Hamilton waterworks during their first public display, in Gore Park. As his career developed, he and his supporters would frequently cite this event as proof of his identification with progressive change in Hamilton. Gibson wrote the matriculation examination for the University of Toronto in September 1859 and was awarded a scholarship. A member of the inaugural class of University College, he eventually amassed many honours, including the silver medal in classics and modern languages, a prize in oriental languages, and the Prince of Wales medal in his graduating year (ba 1863). In 1861, upon hearing news of the Trent affair [see Sir Charles Hastings Doyle*], he had been one of the first to join the university company of the 2nd Battalion Volunteer Militia Rifles (later the Queen’s Own Rifles). On his return to Hamilton in 1864, after he had completed his ma, he became an ensign in the 13th Battalion Volunteer Militia Light Infantry. Promoted lieutenant in early 1866, in June he was part of the Hamilton unit that, with other militiamen, confronted the Fenians at Ridgeway [see Alfred Booker*]. 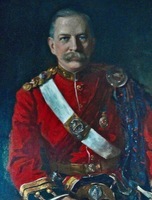 Gibson worked his way through the ranks and from 1886 to 1895 he commanded the battalion, spearheading a major recruiting drive and overseeing construction of a new armoury. Following his resignation, on 9 Nov. 1895 he was named honorary lieutenant-colonel. The focuses of the militia were drill and rifle-shooting. Mastering them required discipline and precision, what Gibson summarized as “faithful and persevering industry,” a central tenet in his world-view. Recognized for his marksmanship, he competed as a member of the Canadian team at Wimbledon (London), England, in 1874, 1875, and 1879; he commanded the team in 1881 and the Bisley Cup team in 1907. 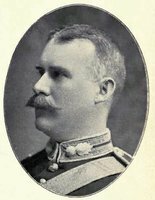 From 1893 to 1907 he served as president of the Dominion Rifle Association and in 1891–92 and 1897 he was president of the Canadian Military Institute. 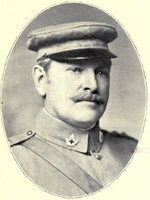 In 1901 he was appointed honorary colonel of his old battalion and served on the committee that approved the infamous Ross rifle [see Sir Edwin Alfred Hervey Alderson], and from 1904 to 1909 he commanded the 15th Infantry Brigade, with headquarters in Hamilton. In 1866 Gibson had joined the Hamilton law firm of Burton and Bruce as a student. George William Burton, a business specialist, the city’s solicitor, and a leading Reformer, became Gibson’s mentor, and he provided the young man with an entrée to Hamilton’s commercial and political elite. After his call to the bar in Michaelmas term 1867, Gibson continued his legal studies, gaining an llb from the University of Toronto in 1869. The following year he formed a partnership in Hamilton with Francis Mackelcan, whom he had met through rifle-shooting. Responsibilities were divided, with Gibson concentrating on business law. 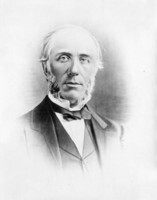 The firm’s reputation was enhanced in 1871 by his nomination as an examiner in law at the University of Toronto and in January 1873 by the appointment of the firm, now Mackelcan, Gibson, and Bell, as solicitor for Hamilton. Gibson would be named a qc in 1890 and elected a bencher of the Law Society of Upper Canada in 1899. In the 1870s the stage was set for his move into public service. As he would later explain, he was eager “to do all he could for the benefit of those institutions which had helped him as a boy.” From 1871 to 1884 he sat on Hamilton’s Board of School Trustees, serving as chairman for two years. He championed the upgrading of educational facilities and the hiring of better-educated teachers, and urged the creation of an industrial school and a public library. In addition, he supported the establishment of the Hamilton Art School and was its president for many years. The remarkably active Gibson was, as well, a leading member of Central Presbyterian Church and a supporter of the Hamilton Health Association; he helped organize the Wentworth Historical Society in 1889 and was president of the St Andrew’s Society in 1891–92. Beyond Hamilton, he sat in the senate of the University of Toronto from 1873 to 1888. A freemason since 1867, he rose to serve as grand master of the lodge in Canada in 1892–94. In 1896 he collaborated with George Ansel Sterling Ryerson and others in founding the Canadian Red Cross Society, and he was its president until 1914; in recognition he was made a knight of grace of the Order of St John of Jerusalem in England in 1911. Honorary llds also came his way, from the University of Toronto (1903) and McMaster University (1909). Gibson’s political career stemmed from the mentorship of George Burton. Largely as a result of his university and Toronto contacts, he also had connections with such leading Reformers as Edward Blake* and George Brown*, and these links made him a valuable asset. He served his apprenticeship as secretary of the Hamilton Reform Association and as a local organizer during the federal election of 1878. He himself ran provincially in Hamilton the following year. During the campaign his allegiance to the city was called into question, with the Tory press portraying him as a “carpetbagger” with ties to Toronto, but he won by a narrow margin. As a novice mla, the former chair of the Hamilton board was naturally drawn to educational issues, favouring such causes as the admission of women to the University of Toronto [see Sir Daniel Wilson*], the “Canadianization” of its faculty, and the abolition of special funding for Upper Canada College. Faced by Knights of Labor opponents in February 1883 and December 1886, Gibson was victorious each time. In February 1886 Liberal provincial secretary Arthur Sturgis Hardy* said that Gibson and a few other members had “sailed in under the flag of the workingman” by backing many of the demands of the Knights. Gibson, in fact, like his leader, Oliver Mowat*, was a successful practitioner of co-option, supporting just enough labour-advocated reform to undermine the Knights’ call for independent working-class action. During the 1887 federal campaign he used his reputation as a “friend of the workingman” to broker an agreement between labour and the Hamilton Liberals in an unsuccessful attempt to defeat the Tory incumbents. Although some Reform colleagues grumbled about Gibson’s “progressive” tendencies, Mowat and others were sympathetic. From 1884 to 1899 Gibson was chairman of the legislature’s private bills committee. Fellow mla Charles Clarke* remembered him as a “deliberate, if not painfully slow” speaker, though in committee “he seemed intuitively to realize the dubious points of every measure brought before him.” A year after Gibson’s appointment as provincial secretary in 1889, he suffered an unexpected and disheartening defeat by Thomas Henry Stinson, a popular local businessman and Conservative. Stinson’s election was overturned, however, and in the by-election that followed, in 1891, Gibson was again returned. After resuming office as provincial secretary, in 1893 he guided through the legislature the Act for the prevention of cruelty to and better protection of children (the Gibson Act), which, significantly, made child abuse an indictable offence, promoted foster care, strengthened the powers of children’s aid societies, and established the office of superintendent of neglected children, to which Gibson appointed John Joseph Kelso*. Elected for the new riding of Hamilton West in 1894, Gibson was made commissioner of crown lands in 1896, in the government of A. S. Hardy. 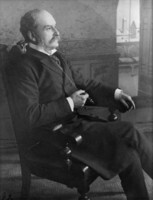 During his tenure (until 1899), he encouraged reforestation in northern Ontario and oversaw new game legislation and the Forest Reserves Act of 1898 [see Aubrey White*]. In March 1898 he again lost his seat, but in a by-election in Wellington East in October he was returned to Queen’s Park. In October 1899 Gibson was appointed attorney general in the government of George William Ross*. A frequent spokesman for an administration that was losing public confidence, his own reputation tainted by scandals that suggested he had participated in or gone along with vote rigging, he found his political position increasingly tenuous. Lost in the bitter partisanship of the Ross years were some of his better pieces of work, including the new municipal assessment and taxation act of 1904. Ross’s cabinet shuffle of November 1904, including Gibson’s demotion to minister without portfolio, recognized his professions of ill health, and most likely his political liability. Never close to Wellington East, he was a prime candidate for defeat in James Pliny Whitney*’s Conservative sweep of January 1905. The loss prompted Gibson to shift his full energy to the carefully structured realm of business that overlapped his politics. Capitalizing on his political and social connections, he had first made his mark in 1877, when, with his then father-in-law, Adam Hope*, he helped organize and promote the Landed Banking and Loan Company, which invested in mortgages and municipal debentures and operated a savings bank. Gibson used his connections to attract investors, among them Edward Blake, and he found his own niche as the company’s legal adviser. Among the ventures that followed were the Canada Clock Company Limited, chartered by Gibson, Francis Mackelcan, and others in 1881. It was as a lawyer that Gibson began his profitable association with John Patterson*, a Hamilton businessman who ran an integrated operation that included property management, real estate, mills, a lumber yard, and construction. Their first recorded contact occurred in the fall of 1883 when Gibson and Mackelcan represented the city in a lawsuit brought by Patterson and his brother. Soon, Gibson was their attorney and was offering them mortgage funds to finance their operations; by the late 1880s the Pattersons were Landed Banking’s primary customers. From here Gibson took the short step to real-estate investment: by the early 1890s he had assembled a block of almost 200 building lots in eastern Hamilton, some of which he owned outright and in others of which he was a co-owner. Gibson and Patterson, like other developers there, recognized that new industry could intensify the demand for land and thus boost values. In 1893 Gibson, while city solicitor, acted as legal adviser to the Pattersons in their negotiations to sell east-end land for a smelting works, and he advocated municipal bonuses for the enterprise. Clearly in conflict of interest, he brazenly denied the charge when it was aired in the press. The accusation was not pursued, but the Mackelcan–Gibson law firm was dissolved – Gibson would soon form another, with W. W. Osborne – and he resigned as city solicitor. Financial interest most certainly underlay his enthusiasm for the establishment of a factory by the Westinghouse Manufacturing Company Limited in the mid 1890s. The proposed site was less than half a mile north of his holdings. When negotiations with the city for municipal bonuses for Westinghouse stalled, Gibson personally renewed the company’s option on the site and lobbied council. At the time of the smelting-works controversy, he had argued that, though he opposed municipal bonusing to promote industrial development, there were always exceptions. Westinghouse was one. The Hamilton Spectator, never an admirer of Gibson, was forced to admit that credit for the agreement between the city and the company was due “in large measure” to him. 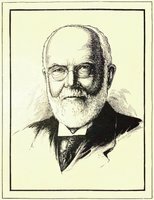 For his part in assisting Westinghouse, Gibson was appointed to its board of directors; in 1903 he would transfer this directorship to the newly formed Canadian Westinghouse Company Limited. Gibson and Patterson’s move into transportation was envisaged as yet another way to increase the value of their real estate. In 1894 they began promoting the Hamilton Radial Electric Railway, the route of which was eventually changed to pass over Gibson’s land. Together with Liberal businessmen John Dickenson, John Moodie Sr, and John William Sutherland, they also launched a scheme to generate hydroelectricity at DeCew Falls (near St Catharines) and transmit it to Hamilton. Their corporate means, the Cataract Power Company of Hamilton Limited, formed in 1896 with Gibson as president, soon absorbed its local competitors. By 1908, through the purchase of existing local radial and street railways and power companies, Cataract (reorganized in 1907 as Dominion Power and Transmission Company Limited) controlled the electrical supply and radial-railway network of an area stretching from Brantford to Oakville and from Hamilton to Vineland. The company’s ambition was to extend its operations to Windsor and Toronto and to meet American transportation systems at Buffalo, N.Y. The Five Johns, as Gibson’s group became known, formed the core of the interlocking directorates that linked the Dominion Power holding company and its subsidiaries. Gibson moved effortlessly from the presidency of Cataract to that of Dominion when it was formally established in March 1907, and he sat on the boards of a number of associated companies, while his law firm provided legal counsel to the conglomerate. In the mid 1910s the Hamilton Hotel Company Limited, which Gibson headed, constructed the Royal Connaught Hotel adjacent to Dominion Power’s Terminal Building, thus integrating transit with the potentially profitable service sector. Similarly, the establishment in 1914 of the plant of the National Steel Car Company Limited, of which Gibson was also president, was tied to negotiations between Dominion Power and the city over the Hamilton Street Railway franchise. Gibson’s grand industrial scheme began to founder when he attempted to enter the high-stakes field of nickel refining. As the demand for nickel had grown in the 1890s, Gibson, in concert with Patterson, Moodie, Andrew Trew Wood*, Samuel J. Ritchie* (a disgruntled former member of the Canadian Copper syndicate at Sudbury), and others, devised a plan to establish a electrolytic refining complex in Hamilton, where existing steel operations undoubtedly gave encouragement to the venture. Though Gibson did not directly invest in the nickel syndicate, members of his family, including his wife and brother-in-law, and many close associates did. That the proposed location of the works was near his tract demonstrated once again how industrial promotion and real-estate speculation went hand in hand. There was another factor that contributed to Gibson’s enthusiasm. Industrial demands for electricity offered Cataract the opportunity to expand generation and even out the periods of peak load. The proposed refining process required huge quantities of electricity. In early 1899 Gibson’s law firm applied for letters patent for the Hoepfner Refining Company, to mine and refine zinc, lead, silver, and nickel and copper ore. Following his appointment as its president, work began on the plant and a contract was reached with Cataract. Not long after construction had been completed, it was discovered that the process did not work. But, too much had been invested for the project to be abandoned. A number of shareholders banded together to lease the Hoepfner premises and experiments were conducted to discover a new electrical refining process. Gibson believed that, once this process had been found, Hamilton would possess “the largest nickel and copper refining plant in the world.” The experiments failed, however, and the refinery never opened. So critical was the nickel-steel enterprise to Gibson’s design that he had reversed his long-standing support for free trade to advocate protective tariffs. As commissioner of crown lands, he had opposed the call of lumbermen for a “manufacturing condition” (export duties on unprocessed material), arguing that it would constitute a breach of faith with timber licensees. The Hardy government, however, reluctantly instituted the condition. For nickel Gibson was willing to abandon free trade. First, he and his partners attempted to use their Liberal connections to persuade the federal government of Wilfrid Laurier* of the need for export duties on nickel ore. When this tactic failed, Gibson pressed his provincial colleagues to extend the manufacturing condition to nickel. Ross initially appeared receptive and brought in an amendment to the Mines Act in 1900, but various factors, including the realization that Gibson’s involvement constituted a dangerous conflict of interest, led the government to let the amendment die. Cataract’s electricity nonetheless remained a popular component of Hamilton’s identity and Gibson’s conglomeration. Public approval began to decline, however, in the early 1900s. As a result of a bitter street-railway strike in 1906, opinion swung to the side of labour [see John Wesley Theaker*]. Moreover, clashes with civic authorities over the quality and cost of transportation and electrical services and the extension of rail lines engendered support for public ownership. In 1914 a municipally run hydroelectric system began operating in direct competition with Dominion Power. Gibson was unswayed by these trends. He served as his company’s principal spokesman during the strike and in the early stages of the battle over municipal ownership. He was still close to the peak of his corporate power – socially prominent and unencumbered by public office, but politically influential nevertheless, and quite prepared to redefine his principles. In 1907 he aggressively pushed for a federal chartering of the Hamilton Radial Electric Railway as a work of general advantage to Canada, which would free it from provincial interference. In so doing he hoped to avoid the justifiable hostility of the Whitney government and overstepped his prior provincialist objection to federal charters for purely local lines. Early in 1908 the Hamilton charter was reluctantly granted by the federal Liberals, with whom Gibson still managed to maintain friendly personal relations. 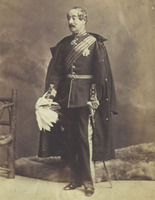 After his appointment as lieutenant governor of Ontario in September 1908, which brought him to Toronto, Gibson’s move from corporate autocracy to viceregal discretion was a rough experience. Initially he planned to carry on as president of Dominion Power. He soon gave it up, but he remained disinclined to accept the notion that he could no longer express his opinions on controversial issues, particularly the ownership of utilities and relations between labour and business. His public criticism of international unions, for example, drew indignant protest from the Trades and Labor Congress of Canada at its gathering in Quebec City in September 1909; that same month, at the opening of a new waterworks system in Guelph, Ont., he blurted out that civic control was not always desirable. Such pronouncements led to calls for him to step down. Only belatedly did he limit himself to ceremonial functions, such as the official opening in June 1913 of the new Toronto General Hospital and of the Grange as the home of the Art Museum of Toronto. Still, he continued to chafe over the restrictions imposed by his office and the unwillingness of the Whitney government to consult him concerning policy. But there were some rewards: on 1 Jan. 1912 he had been made a kcmg. Following the expiry of his term in September 1914, a month after the outbreak of war in Europe, Gibson returned to Hamilton, where he met great demand to attach his name to a host of charities and projects. He resumed many of his business and legal responsibilities – the descent of National Steel Car into near-bankruptcy proved particularly trying – but mostly his time was spent on war work: colonel-in-chief of the Hamilton Home Guard; a reorganizer of the Hamilton branch of the Red Cross; president of the Soldiers’ Aid Commission, set up to raise funds for the families of those serving overseas; vice-president of the Speakers’ Patriotic League, which promoted recruitment and the funding of flag-waving associations; and chair of the national committee formed to find ways to get enough steel and nickel for artillery. He was joined in his efforts by Lady Gibson, who, for her part, received the Order of St John of Jerusalem in England in 1916. Gibson’s philosophy of public service had always been voluntarism, so it was with some reluctance that he accepted conscription. Once convinced, he became a leading spokesman for the Hamilton Recruiting League and embarked on a lengthy correspondence to persuade his old friend Laurier of the necessity of conscription. 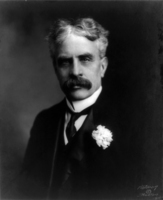 In the end Gibson’s strong feelings caused him temporarily to abandon the Liberals and support the Union government of Sir Robert Laird Borden*. In 1917 he chaired the board of selection formed to establish exemption tribunals under the Military Service Act. Having experienced great family loss in his early life, Gibson was again afflicted after the turn of the century by the death of three of his sons – John Gordon of tuberculosis in 1908, Francis Malloch in action in France in 1915, and Archibald Hope (a partner in his law firm) of influenza in 1920. Nonetheless, throughout the 1920s he continued to promote philanthropic causes in and outside Hamilton; he was president, for example, of the Canadian National Safety League. One of the oldest members of the active militia, he was promoted major-general in 1921, at the age of 79. 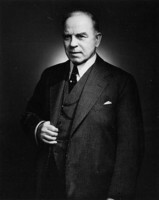 His political involvement was largely restricted to offering guidance to such younger Liberals as William Lyon Mackenzie King*. As well, his involvement in Dominion Power, in which he had continued as a director, declined, particularly after its sale to the Power Corporation of Canada in 1925. He then took on a role as the company’s corporate memory, offering advice based on his long years of experience. Sir John Morison Gibson died of a stroke at his home, Ravenscliffe, on 3 June 1929. Buried in Hamilton Cemetery, he left an estate valued at more than $763,000. In eulogies the press made much of his distinguished political, legal, and military careers and his philanthropic involvement. Less attention was paid to his business activities, but it was there that Gibson had truly left his mark by promoting development and providing the infrastructure that helped define Hamilton as a major industrial centre. At the same time his embracement of industrial capitalism had led to a sharp break from the reform tendencies of his early political career and contributed to the disintegration of the increasingly illusionary “community of interests” which, he had argued, he and his companies shared with the citizens of Hamilton. AO, F 2, ser.B-5-a, letter-book 9: 172–73, 276, 579–80; F 5; RG 8-1, 1901, file 710; 1902, file 1448; RG 22-205, nos.909, 3622; RG 24-10; RG 80-5-0-2, vol.2: f.28; RG 80-5-0-62, no.12381; RG 80-5-0-103, no.12466. Hamilton Board of Education Arch. (Hamilton, Ont. ), Board of School Trustees, minutes, 1868–84. Hamilton Public Library, Special Coll. Dept., Hamilton city records, RG 6, ser.N (city clerk’s dept., misc. papers), railway papers, petitions of Cannon Street ratepayers re the Hamilton Radial Railway, 15, 21, 26 Nov., 8 Dec. 1894. Hydro One Inc. Corporate Arch. (Toronto), Dominion Power and Transmission papers. LAC, MG 26, G; MG 27, I, F7; RG 46, 1070, 1087, 1089–91. Royal Hamilton Light Infantry Arch., J. M. Gibson papers; Scrapbooks, 1875–95. UTA, B1965-0014/004, 1 Oct. 1879; 16 Oct. 1880; 28 Feb. 1883; 1 Oct. 1884; 27 March 1885; 26 March 1887; 26–27 Sept., 4 Oct. 1889. Wentworth Land Registry Office (Hamilton), Copy books, City of Hamilton (mfm.). Daily Times (Hamilton), 1880–1920. Hamilton Herald, 1889–1929. Hamilton Spectator, 1870–1929. Palladium of Labor (Hamilton), 18 Aug. 1883–18 Dec. 1886. Canadian annual rev., 1901–29. Canadian men and women of the time (Morgan; 1898 and 1912). Cyclopædia of Canadian biog. (Rose and Charlesworth), vol.3. J. E. Middleton and Fred Landon, The province of Ontario: a history, 1615–1927 (5v., Toronto, 1927–), 3: 52–54. Standard dict. of Canadian biog. (Roberts and Tunnell). Carolyn E. Gray, “GIBSON, Sir JOHN MORISON,” in Dictionary of Canadian Biography, vol. 15, University of Toronto/Université Laval, 2003–, accessed April 24, 2019, http://www.biographi.ca/en/bio/gibson_john_morison_15E.html.